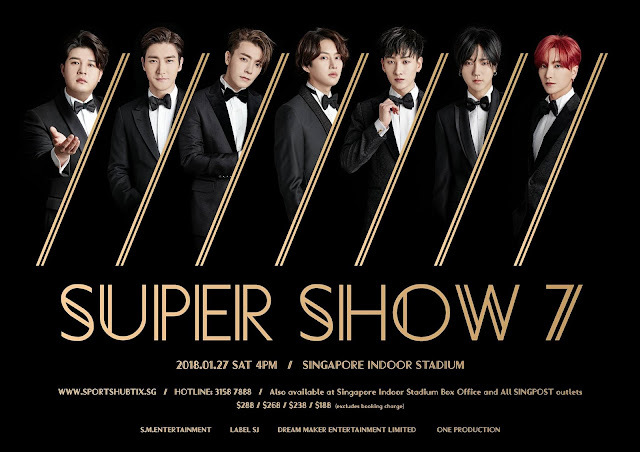 Super Junior is returning to Singapore on 27 January 2018! The group debuted in 2005 and made a world-wide recognition with 'Sorry Sorry', making them one of the globally well-known Korean-Pop Boy Group.Recently, they released their album 'PLAY' on their 12th Anniversary with title song, Black Suit.The current active members are Shindong, Siwon, Donghae, Heechul, Eunhyuk, Yesung and Leeteuk. 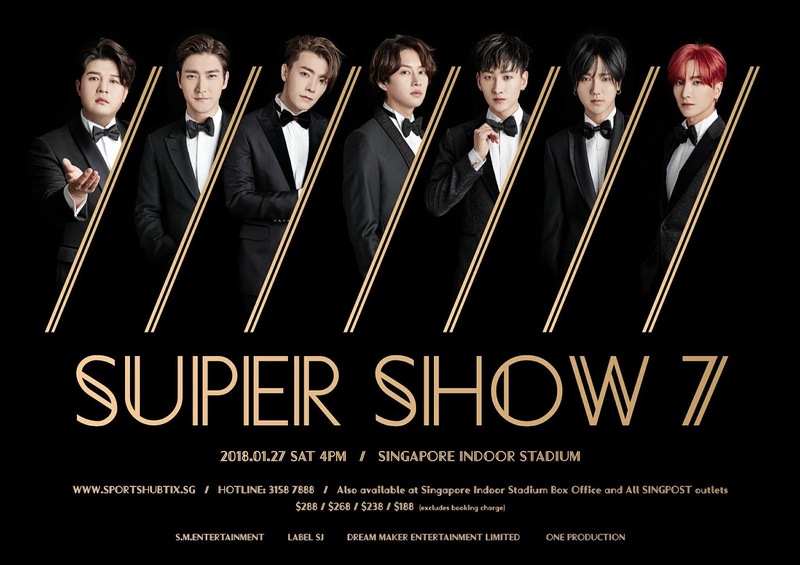 ELFS attending Super Show 7 will be left in awe by the overflowing charisma from the 7 Gentlemen. 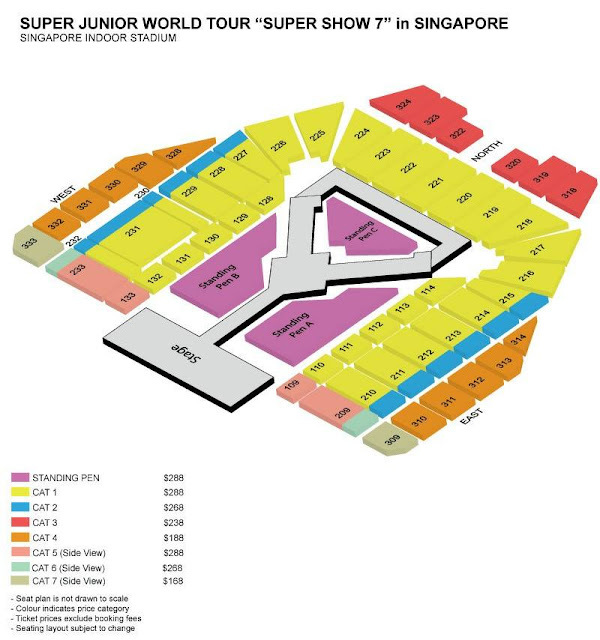 ELFS are also able to get their hands on SS7's merchandise sold on the event date. You will be able to purchase the merchandise on 27th January 2018, 11am-4pm, at the Singapore Indoor Stadium. Please prepare sufficient cash as it is the only accepted payment method. This event is brought to you by One Production with article produced by GOkpop Singapore.